Great Bear exist to make obsolete tape recordings accessible in the digital age. We often work with artists and record labels who use our services to digitise back catalogues and previously unreleased material. We regularly work with Bristol Archive Records, for example, who keep the memory of Bristol’s post punk and reggae history alive, one release at a time. Other ‘archival’ releases recently transferred include cult Yugoslav New Wave band Doktor Spira i Ljudska Bića’s Dijagnoza (available late 2016), John Peel favourites Bob and legendary acid-folk act The Courtyard Music Group. Great Bear can deliver your files as high resolution stereo recordings or, if available, individual ‘stems’ ready for the new remix. We recently transferred several live concerts by Scottish pop sensations Deacon Blue. Recorded in 1988, the concerts capture Deacon Blue in their prime. 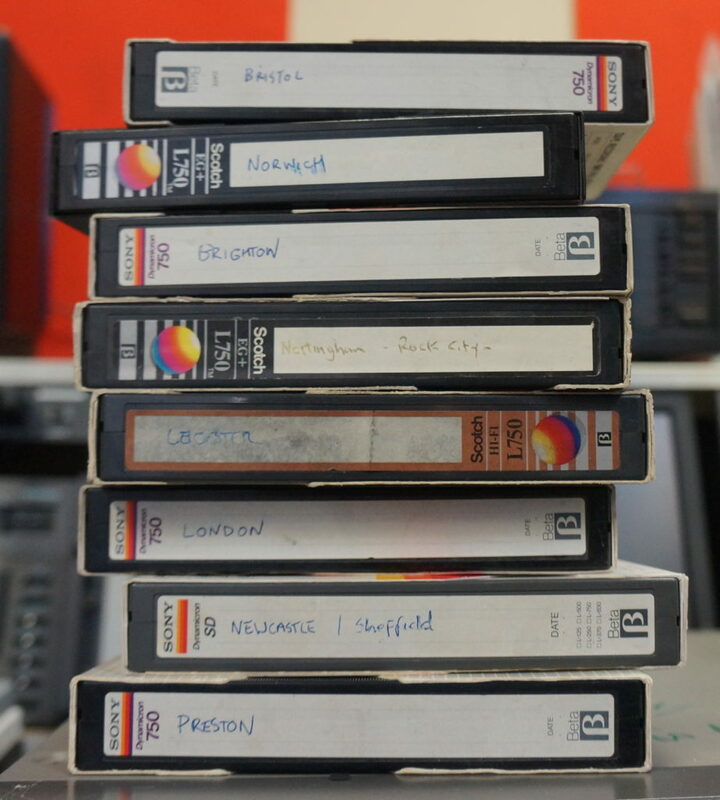 As Pulse-Code Modulation (PCM) digital recordings on Betamax tape transferred at 24 bit/ 44 kHz, the recordings capture the technical proficiency of the band with exceptional clarity. Introduced in the late 1970s, PCM digital audio harnessed the larger bandwidth of videotape technology to record digital audio signals. PCM digital audio was widely used until the introduction of Digital Audio Tape (DAT) in 1987. Despite its portability and ability to record at different sampling rates, DAT was not immediately or widely adopted. Given that the Deacon Blue recordings were made on PCM/Betamax in 1988 is evidence of this. It also indicates a telling preference for digital over analogue formats in the late 1980s. Deacon Blue Live at the Dominion Theatre, London, 26th October 1988 will be available to download as part of Deacon Blue’s new album Believers, released 30th September 2016. Deacon Blue are touring the UK in Nov/ Dec, visiting Bristol’s Colston Hall on 18 November. This entry was posted on Monday, July 25th, 2016 at 3:32 pm	and is filed under Audio Tape. You can follow any responses to this entry through the RSS 2.0 feed. You can leave a response, or trackback from your own site.